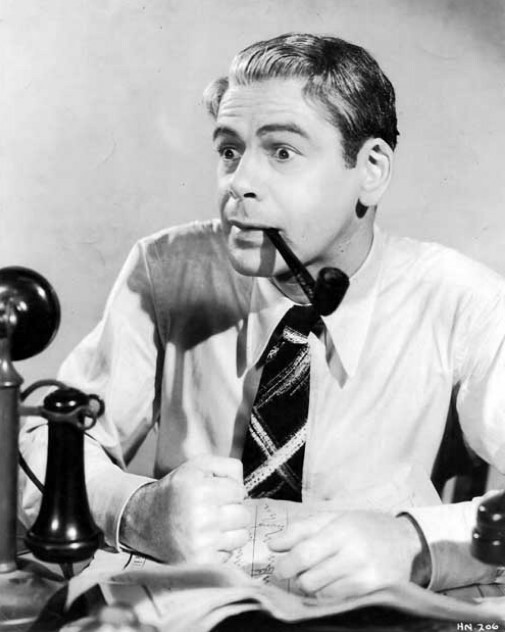 Brad Bradshaw (Paul Muni) was the managing editor of a newspaper until he refused to publish a story about a link between the disappearance of Frank Canfield and an embezzlement case at a local bank. Brad goes soft on Frank, deciding not to paint him as “the crook” and placing the embezzlement story below the fold. But when every other paper in town plays up the cash-stealing story, Brad finds himself demoted. And his demotion is no minor one. His new job is to pen the “Heartthrob” column, giving advice to the city’s lonely hearts under the pseudonym of Nellie Nelson. Gerry (Glenda Farrell), a dedicated newswoman looking for her big break, is glad to give up the column to Brad in favor of more hard-hitting stories. Brad and Gerry have been long-time foes in the newsroom. After a few months of moping, he begins taking the column seriously, and it becomes a hit. But Brad still wants his old job back, and to get it he’ll have to dig up the truth about the story that got him demoted. Mervyn LeRoy directs 1934’s Hi, Nellie. This quick-paced, 75-minute crime comedy was written by Abem Finkel and Sidney Sutherland from a story by Roy Chanslor. A film as light as Hi, Nellie doesn’t exactly make the best use of the talents of Paul Muni, an actor known for having a stellar knack for drama in films like Scarface and I Am a Fugitive from a Chain Gang. However, it’s fun to see him in a role that’s a bit less serious than those in which I’m used to seeing him. His character of Brad is a grumpy, sarcastic newsman. Muni plays the character well and brings quite a few laughs. The dialogue in this film is great, and Muni delivers it with an appropriate level of snap. His many battles of wit with Glenda Farrell’s Gerry are particularly enjoyable, and like Muni, Farrell easily pulls off her role believably. A nice account — thanks! There were remakes, too: You Can’t Escape Forever (1942), The House Across the Street (1949, the version I’m familiar with) and a Lux Video Theater version, again called You Can’t Escape Forever (1956). It’s a while since I last saw it, but I recall it as being a bit lightweight (as you’d expect, having said the same yourself about Hi, Nellie!) but worth a watch. I’m all for a lightweight film every now and then. I’ll make a point to track it down. Thanks! Definitely keep an eye out for it on the TCM schedule; sadly, it doesn’t appear to be available anywhere else!